The all-electric Jaguar I-PACE completed an historic treble at the 2019 World Car Awards ceremony held today at the New York International Auto Show, writes Trish Whelan. The I-PACE took three award categories: the overall 2019 World Car of the Year, the 2019 World Green Car and the 2019 World Car Design of the Year. 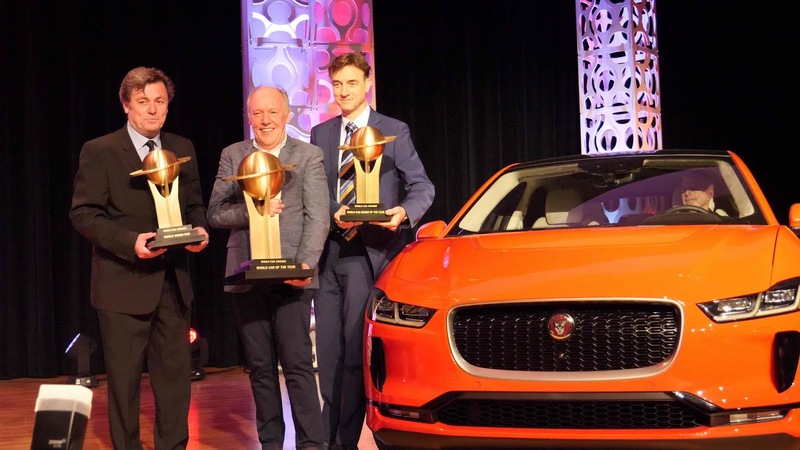 Prof Dr Ralf Speth, Chief Executive Officer, Jaguar Land Rover said: “It is an honour that the Jaguar I-PACE has received these three accolades from the prestigious World Car jurors. “We started with an ideal, to move towards our Destination Zero vision; zero emissions, zero accidents and zero congestion. This car is our first step to achieving this and it was conceived when electric vehicles were little more than a niche choice. I-PACE was chosen from an initial entry list of 40 vehicles in the World Car of the Year award category, then a short list of three finalists - the Audi e-tron, and the Volvo S60/V60 being the two others. The Audi A7 was crowned 2019 World Luxury Car while the McLaren 720S took the 2019 World Performance Car gong; the Suzuki Jimny was the Urban Car winner. The Jimny will not go on sale here in Ireland. Brad’s Arva was awarded Volkswagen Commercial Vehicles Dealer of the Year 2018 at the recent Volkswagen Gold Pin Awards, writes Trish Whelan. The award celebrates excellence within the Volkswagen Commercial Vehicles retail network and recognises the retailer’s contribution in a number of areas including sales performance, local market share and overall customer experience. It is the highest honour that a Volkswagen Commercial Vehicles retailer can achieve. 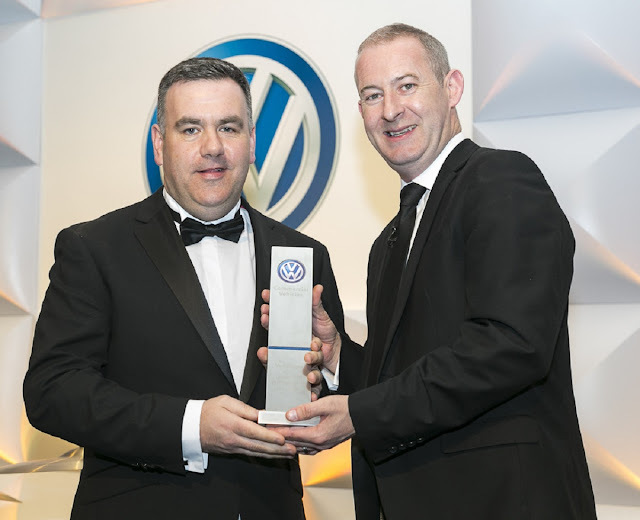 The award was presented to Padraig Brady (retailer principal) of Bradys Arva, by Alan Bateson, Managing Director of Volkswagen Commercial Vehicles Ireland at a gala awards ceremony held in Powerscourt Hotel, Co Wicklow. He also recognised the ‘invaluable support and guidance’ that he received from Volkswagen Group Ireland Limited with first class service, advice and encouragement’. Pictured above at the award presentation were Padraig Brady, Brady’s Arva Ltd; and Alan Bateson of Volkswagen Commercial Vehicles. Mercedes-Benz has launched its latest GLE sports utility vehicle with prices starting from €78,395, writes Trish Whelan. The GLE has always been regarded as a practical workhorse by customers. This latest model is not different in that regard but comes with a more progressive look designed to attract a wider and more youthful segment of SUV owners. Now with a noticeably more rounded, more elegant presence and with a younger look, the brand believe it will appeal to male and female owners in more equal numbers. With a wheelbase of almost 3-metres in length, the cabin is more spacious with room for up to seven people - the rear seat passengers enjoying well over one metre legroom. A second row of seats has the option of being electrically adjustable while a third seat row is available as an option. Four diesel models make up the new range all with 4MATIC transmission - a 300d, 350d, 400d and a 450d. The GLE is ranked the first SUV in its class to meet Euro 6d emissions standards not coming into force until January next. The 300d is expected to be the volume seller here. The GLE comes with a host of high-tech features as standard including MBUX driver assistance and infotainment system and ‘Hey Mercedes’ voice-activated feature. The cabin is stylish and practical. Two large screens have been arranged to create a panoramic effect across the dash. 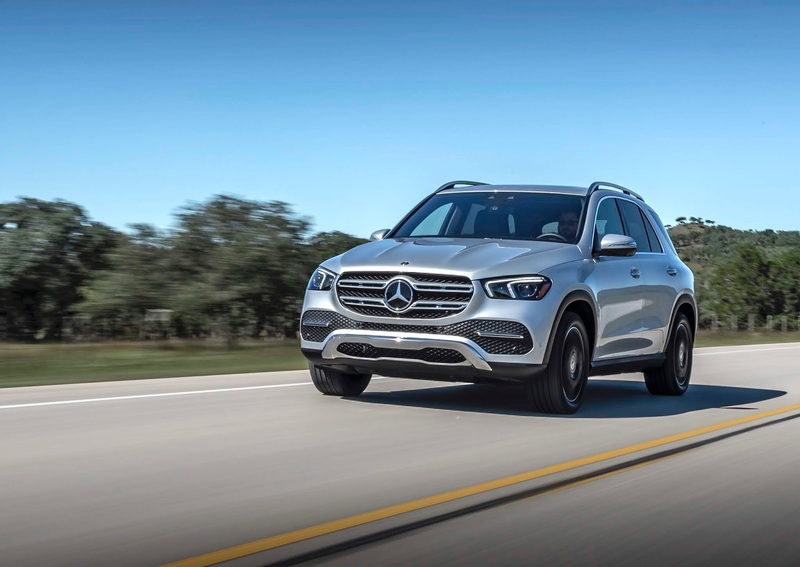 While Mercedes-Benz has a large number of traditional buyers who genuinely require a ‘workhorse’ vehicle like this, Mr Allen said they are hoping to also attract a younger generation to the model. A plug-in hybrid electric version with 100kms full electric capability will arrive later. 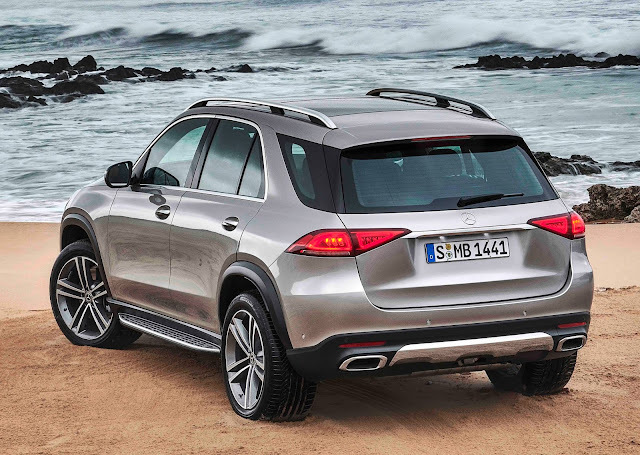 GLE prices begin from €78,395 (300d 4MATIC) and from €95,995 (450 petrol 4MATIC). Key competitors include BMW X5 and Audi Q7. 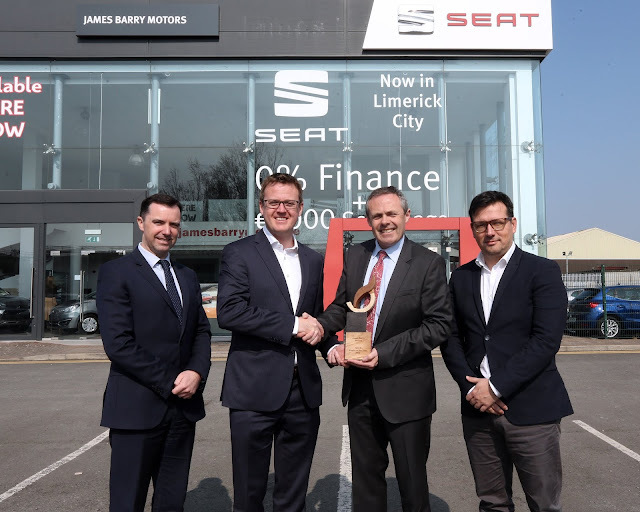 Limerick-based dealership James Barry Motors has been crowned SEAT Ireland’s Dealer of the Year 2018, writes Trish Whelan. The dealership is one of the newest additions to SEAT Ireland’s 24-strong dealer network. James Barry Motors, which has been in business for just four years now, has exceeded all expectations delivering phenomenal results for 2018. Performance areas for which the dealership was commended for include ‘an exceptional sales performance, particularly in new car sales, with a high penetration of those sales financed via SEAT Financial Services’. Customer satisfaction from both a sales and after sales perspective was also singled out for praise. The Limerick dealership has been retailing the SEAT brand (owned by Volkswagen) for two and a half years and has a core team of nine including Dealer Principal James Barry, SEAT Brand Manager Larry Keogh, Aftersales Manager James Casey, Senior Technicians Billy Lane and Richard Murray, Sales Executive Ger Sheehan, Service Advisor Bistra Peric and Technicians Rachel Cahill and Scott O’Gorman. Niall Phillips, Brand Director at SEAT Ireland congratulated James and all his team ‘on demonstrating core values to the SEAT brand and customer focus across all areas of the business’. Pictured above are Neil Dalton and Niall Phillips of SEAT Ireland presenting the award to James Barry, and Carlos Bermejo also of SEAT Ireland. The Royal Cork Yacht Club has hosted its inaugural Sponsors & Members Corporate Lunch. 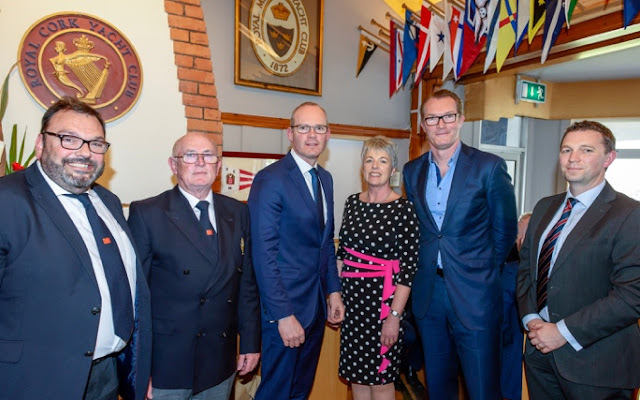 An Tánaiste, Simon Coveney TD, and Patrick Coveney, CEO Greencore, both Club Members and avid sailors, were the Club’s special guests and they also took part in a post lunch panel discussion with MC Rory Fitzpatrick asking the questions. Pictured above at the event are: Colin Morehead, RCYC Vice Admiral and Chair of Cork 300; RCYC Admiral, Pat Farnan; An Tánaiste, Simon Coveney TD; Annamarie Fegan, Chair of Events & Communications; Patrick Coveney, CEO Greencore, and Gavin Deane, RCYC General Manager.